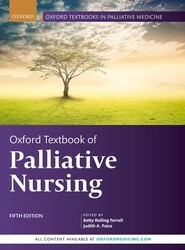 The Oxford Textbook of Palliative Nursing remains the most comprehensive treatise on the art and science of palliative care nursing available. Dr. Betty Rolling Ferrell and Dr. Judith A. Paice have invited 162 nursing experts to contribute 76 chapters addressing the physical, psychological, social, and spiritual needs pertinent to the successful palliative care team. This fifth edition features several new chapters, including chapters on advance care planning, organ donation, self-care, global palliative care, and the ethos of palliative nursing. 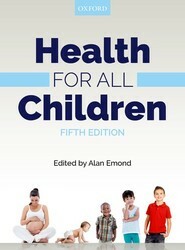 The new edition of Health for all Children, the leading authority in the field, has been fully revised and updated to incorporate the key updates and developments on how the health of children can best be protected and promoted, making it essential reading for anyone involved in the care and welfare of children.